To provide additional funding towards Gawcott’s community benefit work tackling fuel poverty and unlock additional investment from other social investors. Local members of the Gawcott community make up a majority of board members and a community bond offer allowed local members of the community to invest in the solar farm. Surplus income from the sale of electricity goes towards different community projects in the local area and tackling fuel poverty. 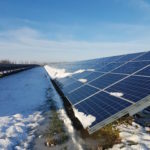 Clean, renewable energy is generated on the solar farm and community engagement work is done to raise awareness of climate change-related issues and energy efficiency in the home. 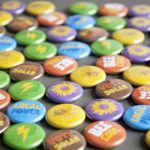 Generating clean energy from renewable sources and supporting local community initiatives, Gawcott Fields Community Solar offers an example of what an energy business might look like in a green, more sustainable and inclusive economy. 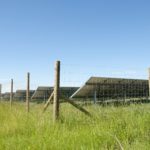 The solar farm was established by Communities for Renewables CIC in 2016 after purchasing the rights to build it from a local farm developer on behalf of the local community. The aim in doing so was to re-direct energy spending in the local area back into the local economy and export low carbon electricity to the local grid. 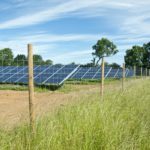 A community bond offer was launched, allowing local people and business to invest in the solar farm and receive annual interest of 6%, and their capital back over 20 years. Along with a grant of equal amount, Power to Change invested £75,000 purchasing bonds, helping to raise a total of £418,550 for Gawcott Fields through their community bond offer. The grant money helped unlock further investment from Social and Sustainable Capital. Now the 4.18 MW solar farm is up and running, its business operations are orientated towards community impact work, most notable of which is a programme tackling fuel poverty. Gawcott Fields Solar work to reduce the energy spend of residents living in, or at risk of, fuel poverty within a 5km radius of the solar farm. 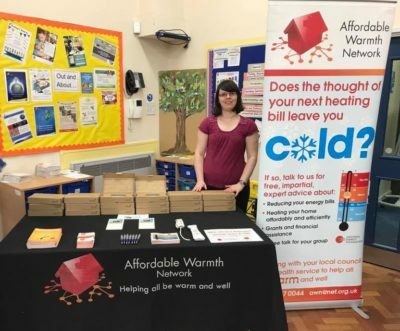 They do so by helping to lower existing energy bills, improving the energy efficiency in homes and raising awareness of energy issues including dealing with debt and accessing energy-related benefits. The Power to Change funding has allowed us to lever additional investment from Social and Sustainable Capital (SASC) that will contribute towards our sustainable, long term business plan of supporting the local community. Our fuel poverty work and grant fund directly benefit residents and families in the local community. 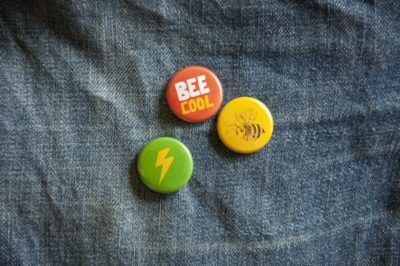 It’s estimated that the ‘Bee Warm’ fuel poverty programme has helped individual households save £200 on average on their energy spending. Outreach events, telephone support and local training sessions supported by National Energy Foundation and Citizen’s Advice have helped to shift outlooks and motivate residents to pursue small measures that can improve energy efficiency – like door draught-proofing, reducing shower time and using LED lightbulbs. Gawcott Fields Solar also has a grant fund which awards grants to organisations in the local community. This has a different focus each year, with sports being chosen in 2018, meaning local clubs and organisations promoting the uptake of sports in the local community were awarded with funding. Future spending choices for the grant will be decided by a panel made up of local stakeholders – ensuring local people are involved in the decision-making process. Additionally, the solar farm itself aims to promote local bio-diversity by providing a hospitable environment for bees and ensuring a mix of wild flowers grow on the field. As the business grows, green energy and environmental protection initiatives will be front and centre in future considerations. Gawcott Fields Solar is an enterprise aimed at empowering its local community to reduce their fuel costs, while also generating energy from renewable sources. It’s a fantastic example of how the community business model can help solve some of the pressing issues in the energy sector – namely, sustainability, affordability and inclusivity.